When it comes to product information, content quality and not quantity is what’s now being addressed by a variety of expert online sources as what’s relevant to rank. The primary message being that websites now need to have an effective content strategy to be successful. However, what they fail to give you are proven and practical advice along with the methods on how to effectively develop this information, and then use the content to make a difference when it comes to your bottom line. More focused traffic and revenue. The entire SEO industry recently has performed a substandard job when it comes to communicating this, and may be the reason why there’s a lot of high profile sites which are lacking a protocol for producing quality original content which should be integrated into their sites, that should be generating income. There are a handful of reasons why doing more than just creating a blog is required, this when it comes to developing an effective content development strategy which will have any impact. The reason for this is because blogs have a habit of diverting the readers away from the entire buying cycle which is established on your site. This since blogs are usually a completely separate entity of the site which doesn’t usually invite any “calls” to action, or provide links that points to the actual money product pages. Since users who are wanting to buy something will most likely search for and find a site to purchase from, and will then click through to the product page which is relevant to this. A blog, for this reason, can often be bypassed entirely. What needs to be taken is a much more integrated approach when it comes to developing fresh content for the visitors on your site, while also including it directly on the “product pages” where the information will have the greatest impact. So listed are tips for improving your content strategy which will develop better product pages. It’s never recommended that you reuse, rehash, republish, the same product description article which is provided by the supplier, and then “copy and paste” them on your own pages. Know instead of all the tendencies of your target market buying customers so that you can then best tailor the content to fit their individual interests, needs, and preferences. If you happen to be selling travel packages, for instance, and your target market group happens to be seniors, then know exactly what they’d expect from your product pages when it comes to hotel accommodations. This not only would convert better, but it should also help from a SEO perspective as well. It’s now proven almost impossible, for a while now, that you won’t get high search engine ranking to attract qualified and targeted organic traffic, if you have duplicate content product pages. Genuine unbiased user reviews on your site accomplishes a few things. It’s not recommended that you use these reviews by just either importing or “copying and pasting” them from other sites and then placing them on your own product pages. Instead, it’s recommended that you somehow generate your own by contacting your customers after they’ve purchased, and have an opinion on the product. Ask them to submit a review. You can offer some type of an incentive, such as a coupon code for their efforts. You can use the same images which are usually provided by the supplier, but the problem is that they’re not unique. So what you can do is create your own images, by taking your own pictures, which may suit your target market better. One way you can do so is when asking your customers for a review, you can also ask for images, or even a video of their experiences from using the product, and then add them to your product pages. It’s also been proven that if you provide videos explaining the product, and place them directly on the site, the sales will increase while the returns will generally decrease. What you can also do is produce videos on your own, in-house. Begin by shooting product videos using a staff member to demo the products, and then post them on the various social media outlets as well. 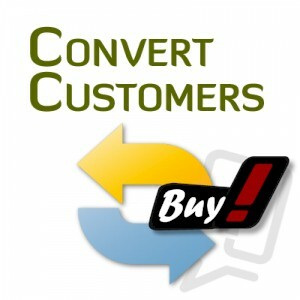 This method has proven to increase conversions of up to 11% percent. This also proves that creating professional video’s isn’t always necessary when it comes to video content. There are times when the visitor doesn’t quite find what they’re looking for in the product description, so another way to capture their interest is providing a FAQ page that features the most common questions, or complaints, that they may have before they make a purchase. Make sure that you don’t use marketing jargon in the answers since they’re a complete turnoff. If you have an article on your blog which describes the top 10 boutique hotels in Maui, for instance, make sure that you provide a link directly from your blog to the product page for all 10 hotels. Doing so is an excellent way of bridging together the content that you’ve created elsewhere, and then integrate it into your product pages. Just make sure that the content that you link from will help the buyer to complete the purchase.